This is the perfect sports treatment oil, bringing quick relief to muscle or ligament sprains and strains, and reducing swelling and bruises in record time. When Helichrysum Essential Oil is quickly applied to an injury undiluted it can actually prevent inflammation and bruising. 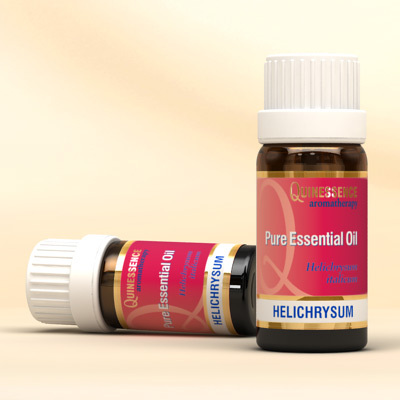 Helichrysum oil is highly effective when used in body massage blends as part of a detox treatment since this oil stimulates the liver, gall bladder, kidneys and spleen. It offers emotional support for those suffering with deep-rooted anger, jealousy, lethargy, negativity and stress related conditions.